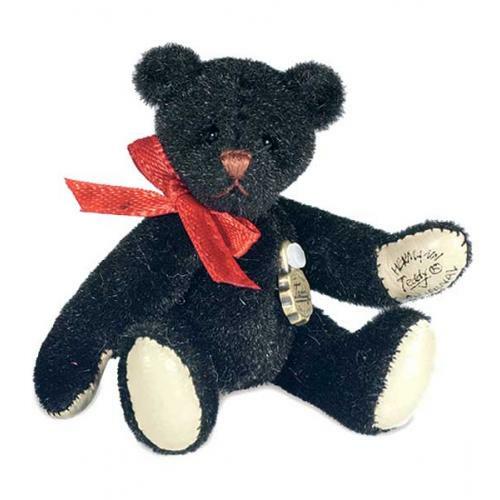 Teddy Black miniature Teddy Bear by Hermann Teddy Original 153887. Made of the finest plush, fully jointed, Surface washable only, Size 6cm (approx. 3 inches).